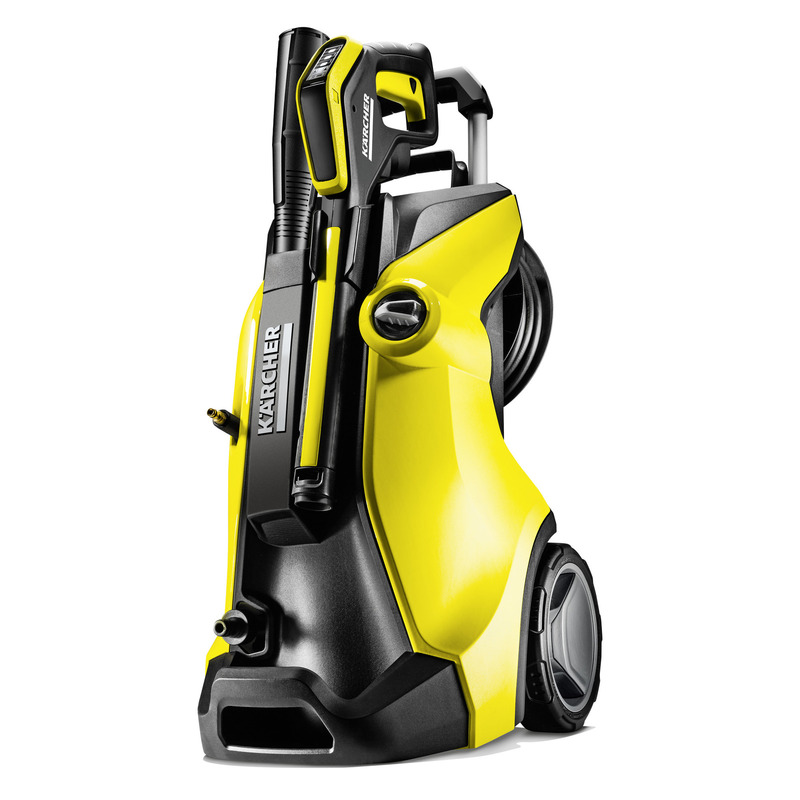 K 7 Premium Full Control Plus 13171300 https://www.kaercher.com/ae/home-garden/pressure-washers/k-7-premium-full-control-plus-13171300.html Incl. hose reel: the K 7 Premium Full Control Plus. 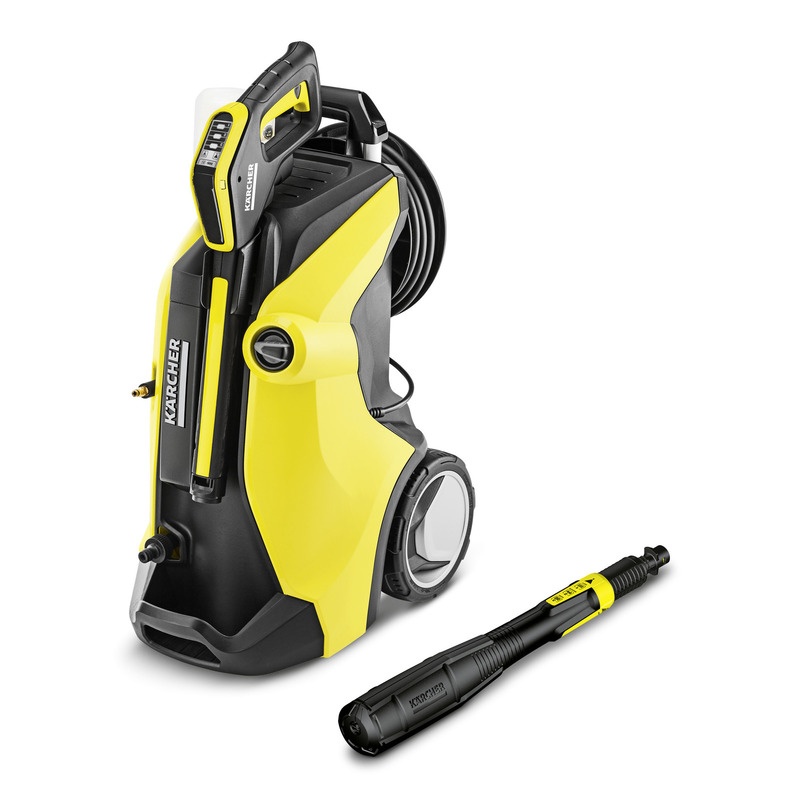 The spray gun on the pressure washer has +/- buttons and an LCD display to help you set the optimum pressure. Incl. hose reel: the K 7 Premium Full Control Plus. 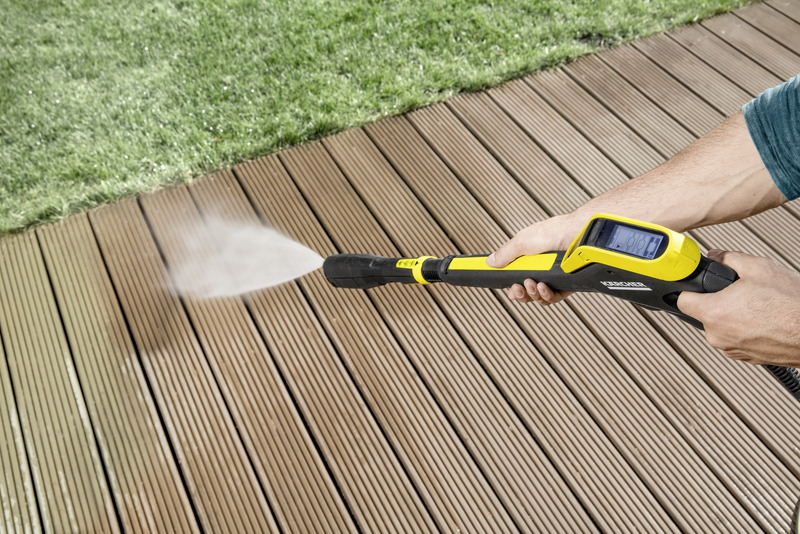 The spray gun on the pressure washer has +/- buttons and an LCD display to help you set the optimum pressure. The K 7 Premium Full Control Plus gives you more control than ever before. The innovative spray gun has an LCD display and +/- buttons for controlling the pressure level and detergent, making it possible both to set the right pressure for every surface and to monitor the pressure too. And thanks to the 3-in-1 Multi Jet spray lance, there's never any need to change the lance – even when switching from high-pressure mode to detergent mode. 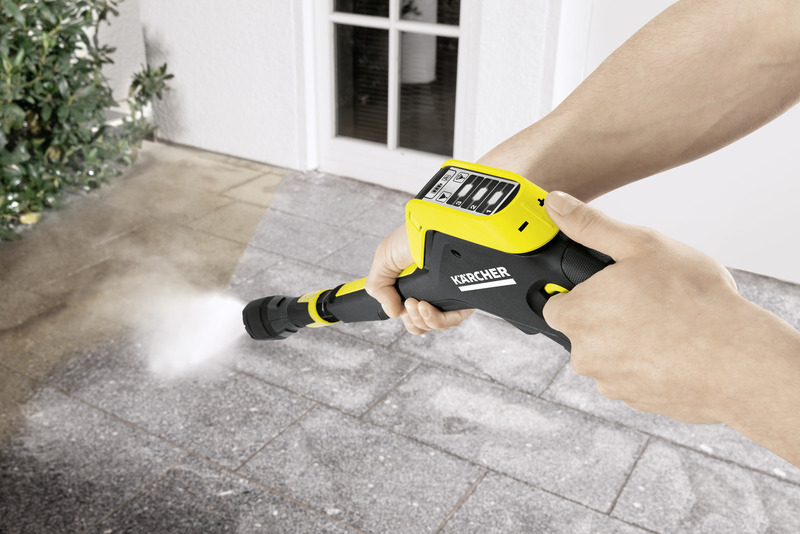 When taking short breaks while working, the spray gun with connected spray lance can be temporarily stowed in the device to keep it within easy reach. Working is also made comfortable by the height-adjustable telescopic handle (convenient pulling height, compact when stowed), the easily accessible Plug 'n' Clean System (enabling the detergent to be changed in a single step), the practical hose guide and the stable stand (which also acts as a second carrying handle). Additional stability is ensured by the device having a lower centre of gravity. 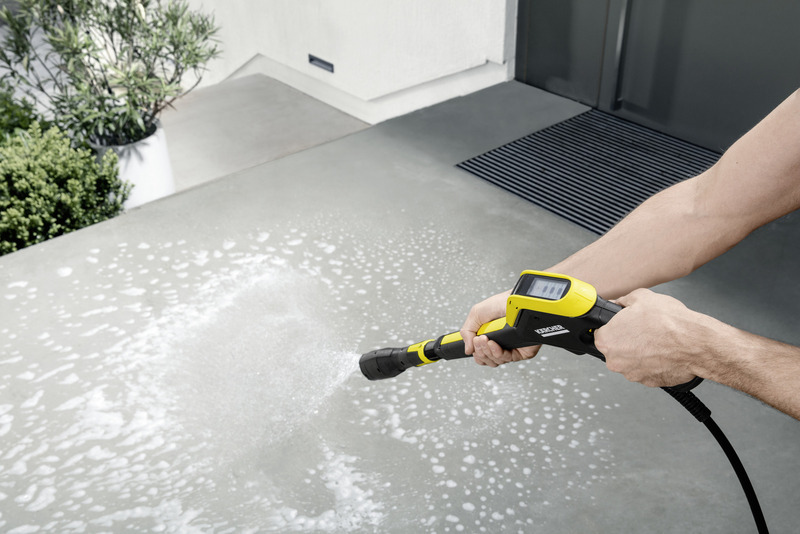 The pressure washer with hose reel is ideal for frequent cleaning of stubborn dirt and for an area performance of 60 m²/h. With buttons for pressure regulation and detergent dosing. The LCD display on the Full Control Plus Power trigger gun enables users to easily check the setting they have applied. Easily switch between flat spray, rotary and detergent nozzle by turning the spray lance. Quick, easy and convenient application of detergents with the pressure washer. Kärcher detergents increase efficiency and help protect and care for the surface being cleaned. With a practical reel, the high-pressure hose can always be stored neatly. The Full Control Plus Power trigger gun and the connected spray lance can be stored conveniently in the device during work breaks. The Full Control Plus Power trigger gun is always ready to hand and easily accessible. Once work is complete, the Full Control Plus Power spray gun and the spray lances can be stored on the device to save space.